Best CRM helps you follow leads with the highest chance of conversion, reducing the sales cycle and improving the win rate. Best CRM ties together various departments with a single data source to address customer inquiries and concerns faster and more consistently. CRM allows quick access to real-time sales, customer sentiments and trends from various channels: web, visit, reference, social networks, telecalling. Access real-time data and make the decision on location at any time. Web CRM allows field teams to create reports instantly so the back or support office can start working at once. Successful CRM should have a comprehensive, far-fetched impact on the company in terms of its customers, organizational efficiencies, and competitiveness in the market. No matter what you’re selling, every sale follows roughly the same pattern. It’s a rare sale that doesn’t include each of these steps in one form or another. Often salespeople don’t think of certain stages being different events - for example, qualifying often happens as part of the cold call, the sales presentation or both - but each of these stages is, in fact, necessary to advance the sales process. Precisely manage leads and never miss the next step. Have a global view of your sales pipeline at a glance. Be great at cold calling. Remember exactly where you are with each prospect. Get a clear overview of what is happening and help your sales. Streamline major areas of customer interactions. Keep track of leads, opportunities and sales orders. Real-time visibility with dashboards and analytics. Get a centralized database with CRM. CRM is not only technology, it is a business strategy. Established in the year 2002 at Ahmedabad (Gujarat, India), we “Soltrack Technologies Private Limited” are engaged in Manufacturing and Service Providing of an excellent quality range of Business Software, CRM Software, etc. we source products from the reliable market vendors which can be availed from us at reasonable prices. Apart from this we also impart software services to our client. Under the guidance of our mentor “Mr. Niraj Shah”, who holds profound knowledge and experience in this domain, we have been able to aptly satisfy our clients. 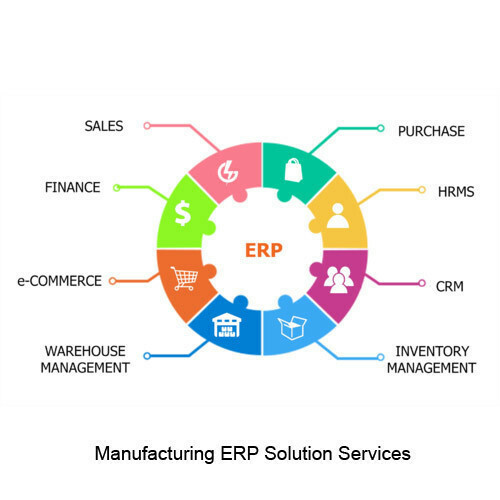 We also provide ERP Service to our client.